THE LAVAR KERMAN RUG - Stretching back at least a thousand years. Kerman, both a city and a province in Southeastern Iran, is home to some of the most highly-valued and widely-collected Persian carpets on the market today. 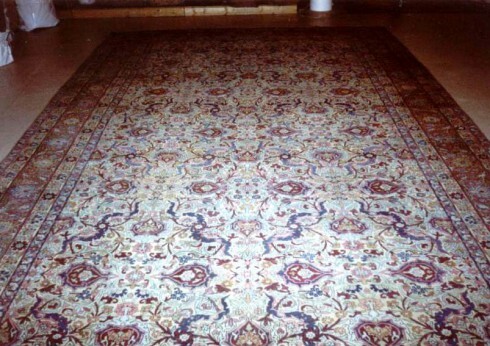 Some of these rugs were manufactured in the city of Kerman itself, an ancient city with a history stretching back at least a thousand years, but most were made in one of the small workshops that popped up in Kerman’s provincial cities, as demand for the region’s carpets grew precipitously throughout the late 19th and early 20th centuries. Among these villages, some achieved outsized fame in their own right, as weavers created distinguished pieces that surpassed even the city of Kerman’s textiles in fineness of detail and quality of build. Among these provincial towns, perhaps the most famous was the city of Raver, or, as it is more often called in the West, Lavar. It was a tiny place, isolated, about 125 miles from Kerman, but American dealers had established in its arid steppes a number of master workshops that employed the region's finest weavers, many of whom had migrated from Kerman itself. 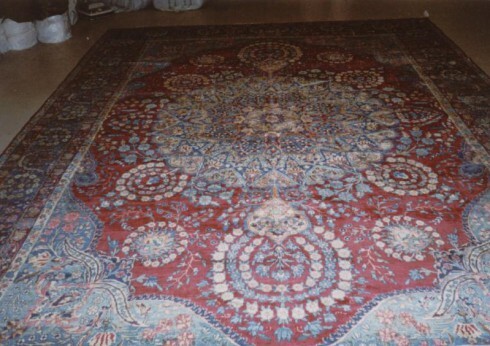 They produced over the decades some of the greatest Persian carpets for sale on the international--particularly the American and European--markets. 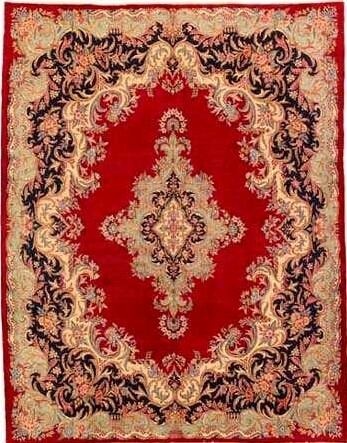 Lavar Kermans, produced from their inception as highest quality examples for wealthy patrons, are densely knotted, finely woven rugs, typically achieving somewhere between 200 and 400 knots per square inch. It is a tremendous feat of workmanship to work on such a scale, requiring not only patience and time, but the skill of master weavers working in conjunction in centralized workshops. At such high knot density, intricate patterns can seem to hold infinite detail, and indeed, Lavar Kermans are known for their baroque complexity, expressed in elaborate floral and geometric motifs. 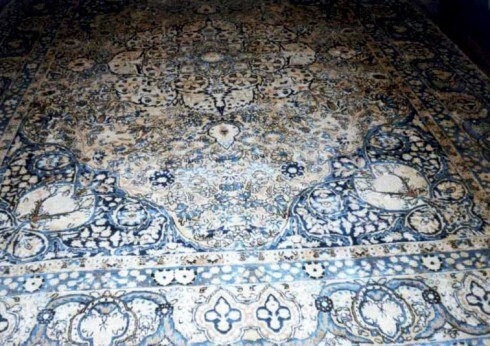 The carpets are made in a multitude of international styles, reflecting the diverse tastes of wealthy consumers, both locally, and in the west. As they are rugs produced primarily for the high-end 19th century market, clear in influence of the era’s artistic trends can be seen in their design. First and foremost is the high Victorian influence of the 19th century, but as the rugs evolved, 20th century examples begin to exhibit the aesthetic influence of Art Nouveau, just then coming into vogue. Prime examples of this influence are the famous "mille fleurs" and "Thousand Flowers" motifs, which were in high demand throughout the decades of production. Art Nouveau influence can be seen not only in floral and geometric motifs, but, rare among Persian rugs, in figurative design, mainly in the form of pictorial narratives of famous figures in world history. Perhaps most compellingly, when considering Kermans in the broader history of Persian rug-making, we begin to see in their achievement the notion of authorship. Many Lavar Kerman rugs, distinguished from the wider Kerman category, proudly made to stand apart, include in their weave the bold signatures of the master weavers who created them.